Associated Press Recommends Media Stop Using "Illegal Immigrant"
WUSF's Craig Kopp talks with Kelly McBride of the Poynter Institute's "Sense Making Project" about the "AP Stylebook's" decision to drop usage of the phrase "illegal immigrant." The Associated Press Stylebook has decided to recommend against the use of the phrase "illegal immigrant" by journalists because of concerns about accuracy, according to Kelly McBride of the Poynter Institute's "Sense Making Project." 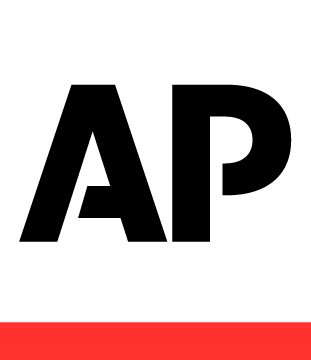 Since 1953, the AP has been publishing a stylebook that has become a go-to resource for journalists, writers and advertisers when it comes to style and usage. But, the AP kicked up some controversy recently when its new stylebook recommended against using the phrase "illegal immigrant." The new AP Stylebook says that the term "illegal" should describe only an action, such as living in or immigrating to a country illegally. The venerable press service was accused by some of being politically correct in its recommendation and of taking a side in the immigration debate. Greta Van Susteren of Fox News asked the question, "does the word change solve any problem or is it just a distraction?" McBride says the AP definitely solved a problem. "And the problem is one of accuracy and precision," she explained "This is a debate we are having in this country every single day and the words we use to describe a group of people or an individual should be accurate. And illegal immigrant isn't always accurate because it implies that somebody illegally immigrated when it fact a lot of people who are here illegally are here because their documentation expired after they came." McBride said the AP is not choosing a side in the immigration debate by making this change. "I think the side they are picking is the side of accuracy," McBride said. "We can't use words that don't accurate convey what reality is, especially in a casual, dismissive, sort of way. " McBride said that if reporters are going to use the the AP style recommendations when reporting on immigrations issues, they are going to have to use more words now to be accurate. "In many cases reporters are going to have to be more precise and descriptive when describing an individual. So rather than saying "John Doe is an illegal immigrant, a reporter is going to have to say John Doe came to the United States on a travel visa and it expired," or "John Doe crossed a border illegally in December 2010 and stayed ever since." When a reporter is talking about a group of people, it gets more problematic. In many cases a reporter is going to have to use more words instead of fewer words to describe a group of people." But, McBride explained, the AP style change on 'illegal immigrant' is not something new. She said the use of words is always evolving. "If you look at any political debate... civil rights, gay rights... any of these issues, the words we have used over time have changed when we talk about describing human beings," she said. "What happens, in most cases, is the words become more humanizing and less dismissive or alienating. We used to, in the United States, call illegal immigrants illegal aliens and then we got away from using that because the world alien didn't seem quite right ."